The gloomiest day of the year - yet again! It is now nearly 5 years since I first notified the British Legion about how they could collect even more cash than usual - and yet more in this centenary year of the outbreak of WW1 - but they have still failed to take any notice of my sound advice. See here. NEW BOOK: dreaming of selling a million! Whenever I've written a book, I always dream of it selling by the million. In fact, I doubt whether anyone would ever write a book at all if they knew how few people would ever actually read it. But in none of these cases had the internet developed anywhere near to where it is today - with e-books, Kindle and yes, hard copies too! This blog has, according to Ayd Instone, publisher of my latest book, so far been made up of slightly fewer words than Tolstoy's War and Peace and slightly more than Pickwick Papers by Charles Dickens. But after editing it down to a similar length to that of Lend Me Your Ears it becomes a more manageable length and gives readers the advantage of not having to gaze at a screen for hours on end. Promotion or demotion at Sky News? 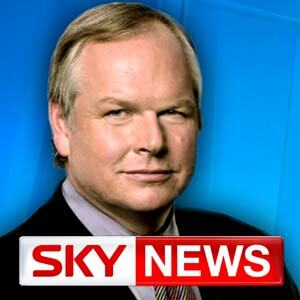 I've blogged previously about Adam Boulton's tendency to 'um', 'er', pause and otherwise hesitate far more than is to be expected from the Politics Editor of a major 24 hr news channel - not to mention other blogs elsewhere on the hazards faced by speakers who rely too much on teleprompters. But Adam's problem seems to have been solved more or less completely in recent days - by the simple device of turning him into a news reader rather than an interviewee who answers questions put to him by one of the more regular news readers - who rarely serve as news reporters out in the field. Whether being transformed from being a news reader rather than a news reporter/editor is a promotion or demotion for Mr Boulton I do not know. Perhaps he or one of his colleagues at Sky News knows the answer and will let us know in due course whether it's a temporary measure or it's been done to prevent viewers from having to suffer from listening to the continuous 'umming' and 'erring' of the political editor. There are of course 3 components (! ).